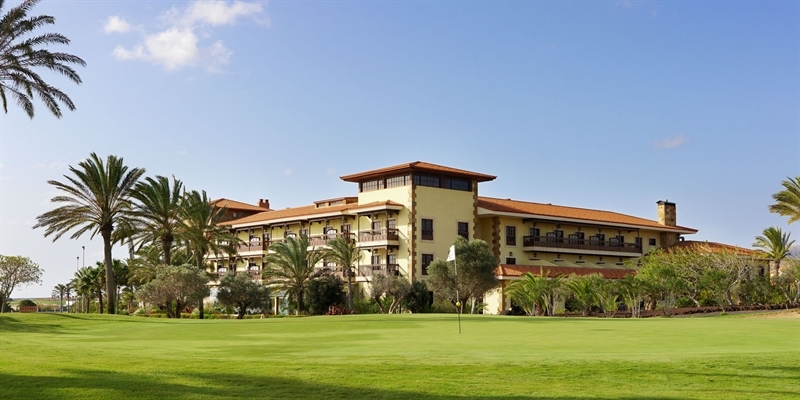 The beautiful Elba Palace Golf & Vital Hotel was the first 5 star hotel on the island and is quite unique. 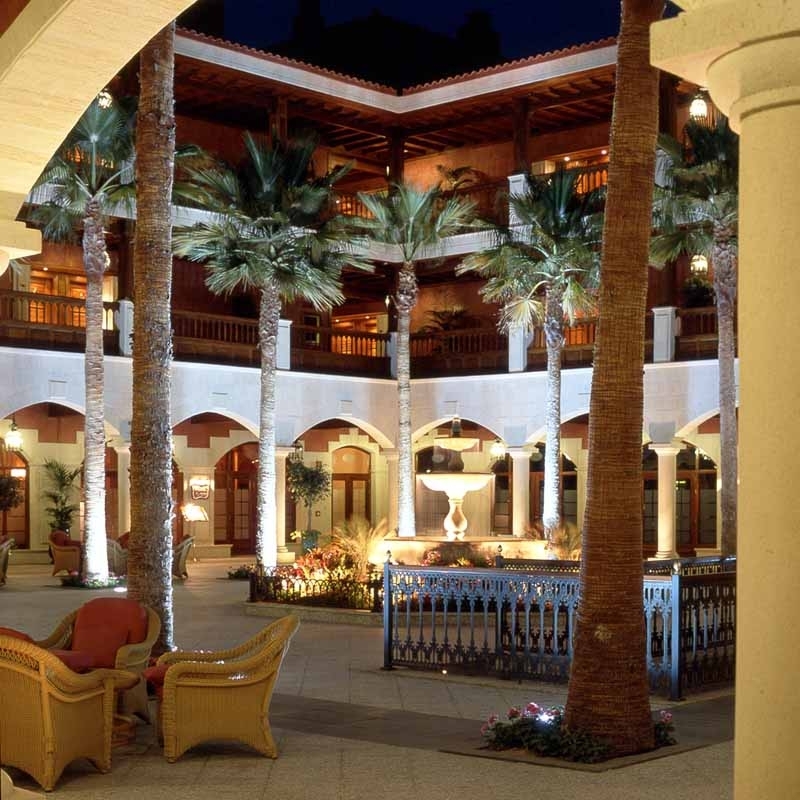 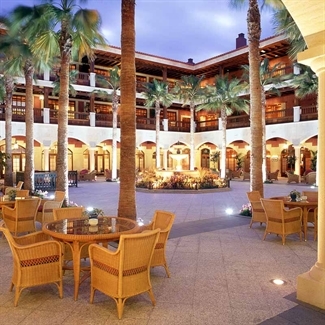 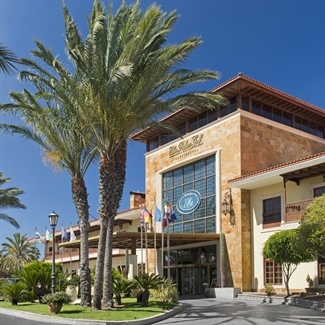 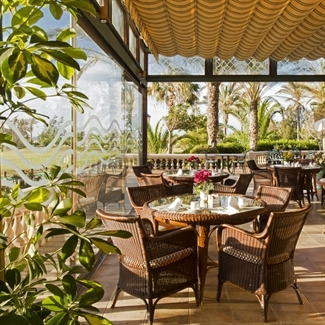 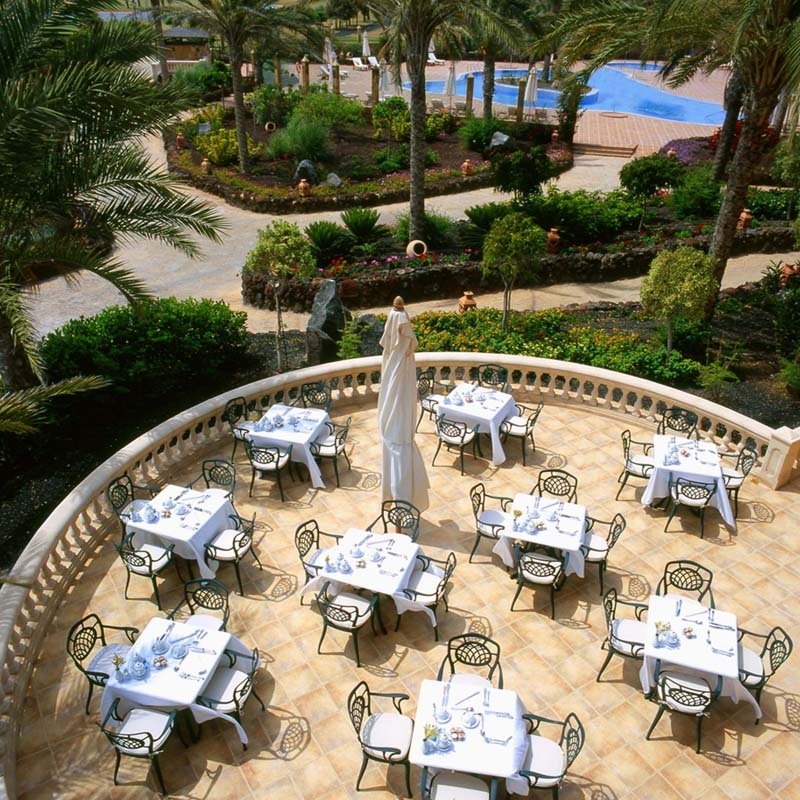 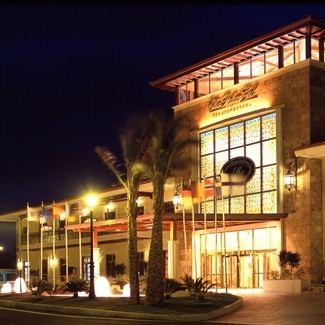 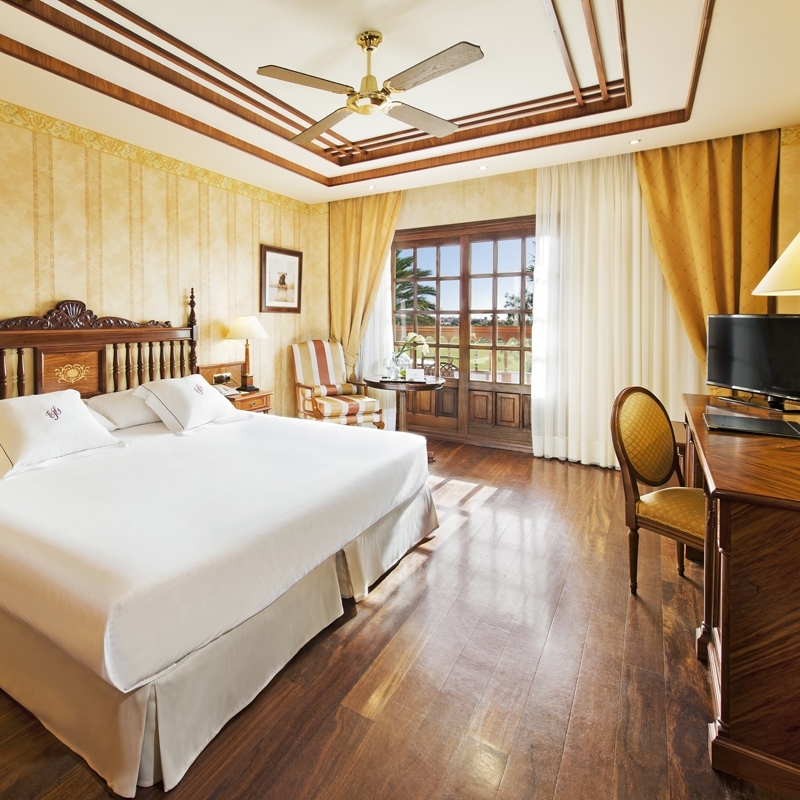 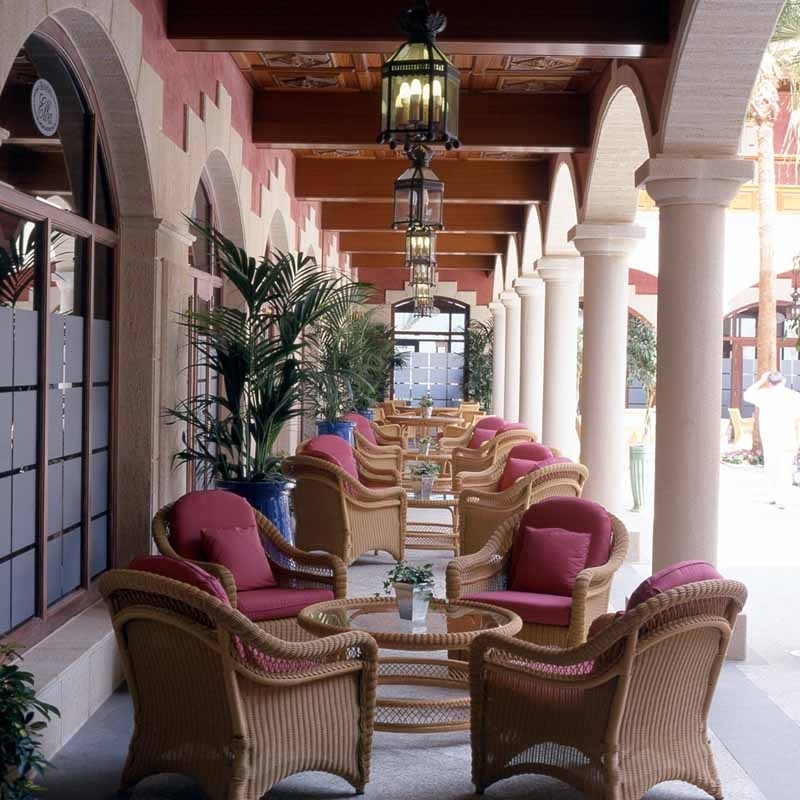 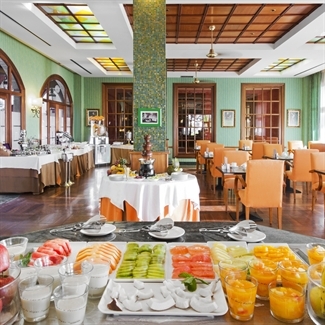 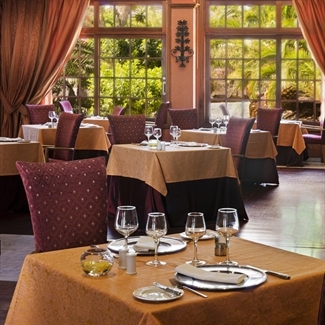 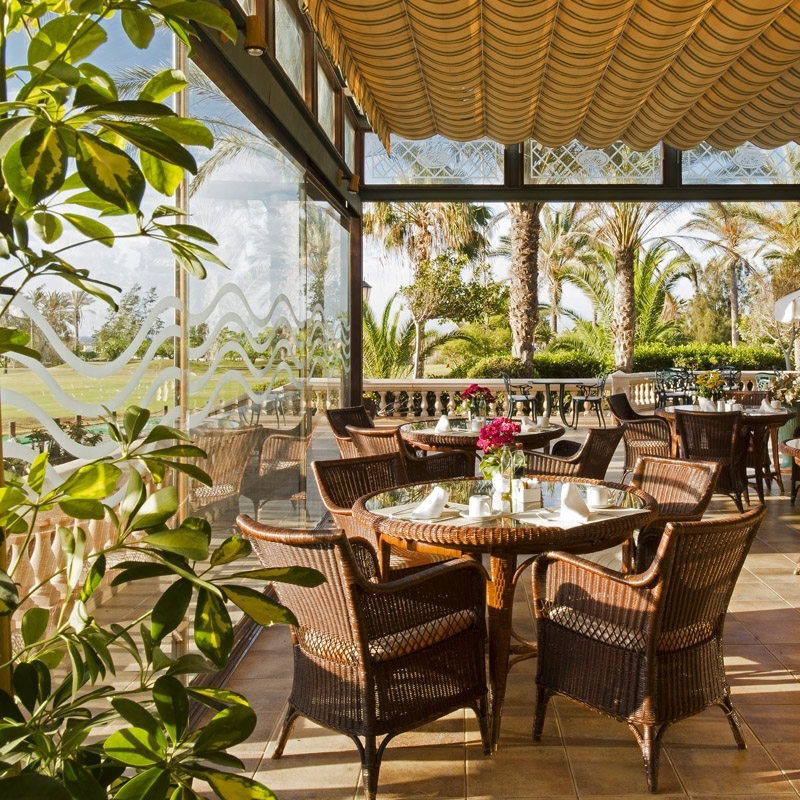 Standing like a stately mansion in the centre of the Fuerteventura Championship course, the wooden balconies and inner courtyards planted with palms and exotic plants are typically Canarian in style and the soft colours, warm woods and terracotta tiles used throughout the hotel extend this theme. 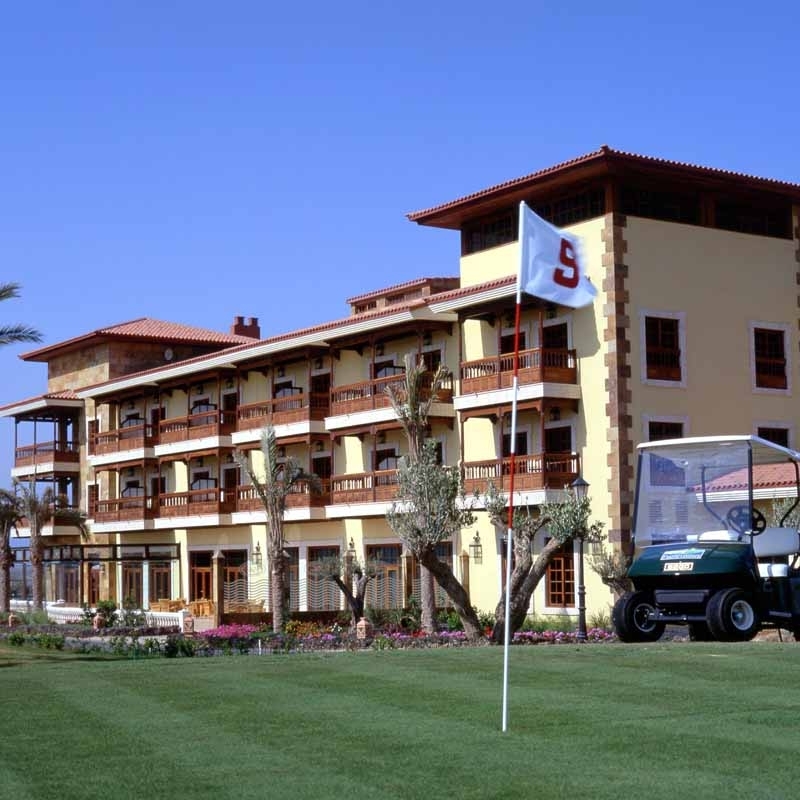 Golfers are well served here with the club house and pro shop being part of the hotel itself. There is nothing like being able to step directly onto the course from ones hotel! 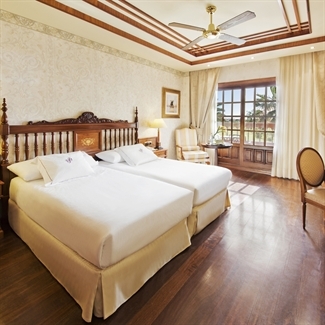 The 51 double rooms and 10 suites all benefit from balconies that overlook either the sea or the golf course and are luxuriously equipped with huge bathrooms and beautiful traditional furnishings. 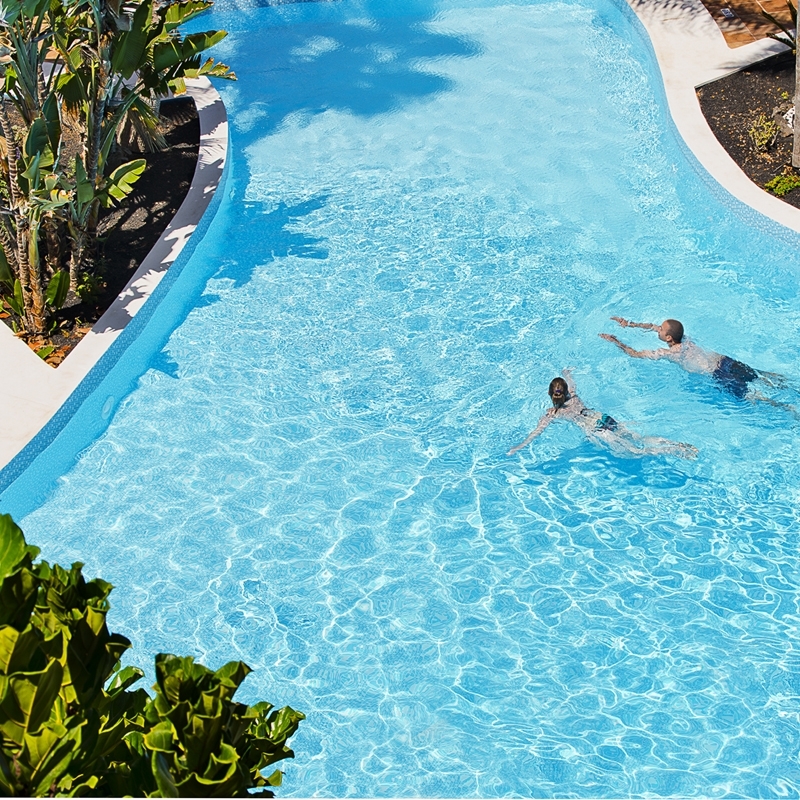 The terrace and gardens that surround the free form swimming pool are the perfect spot in which to spend your golf free moments lounging under the pool umbrellas with attentive bar staff to provide you with drinks and snacks. 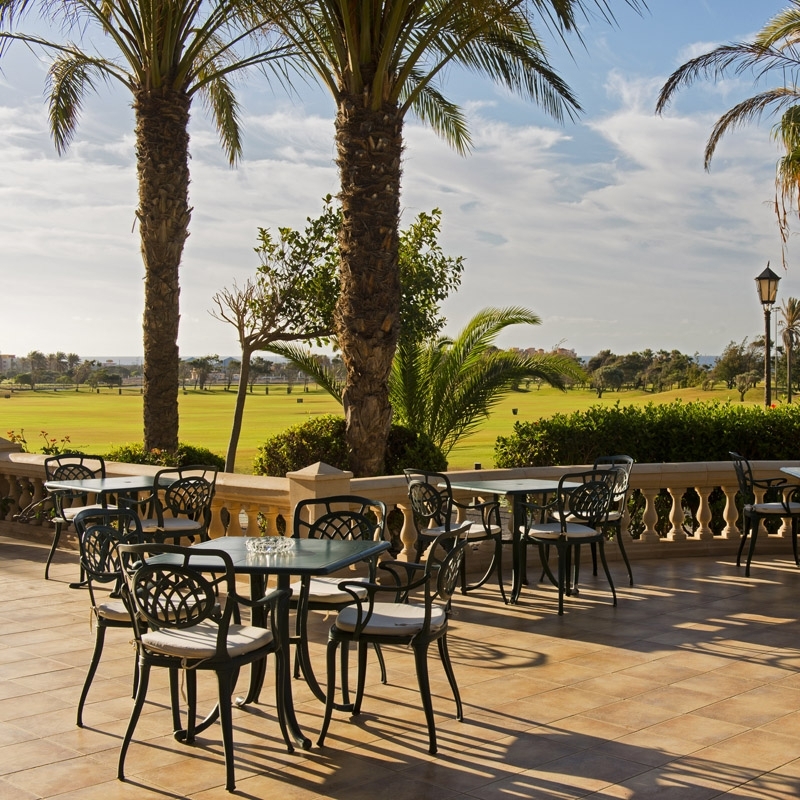 Enjoy a light lunch at the Hoyo 19 cafe and for the evening the piano bar provides a quiet setting for a pre-dinner drink followed by dinner at the hotels own St Andrews a la carte restaurant. 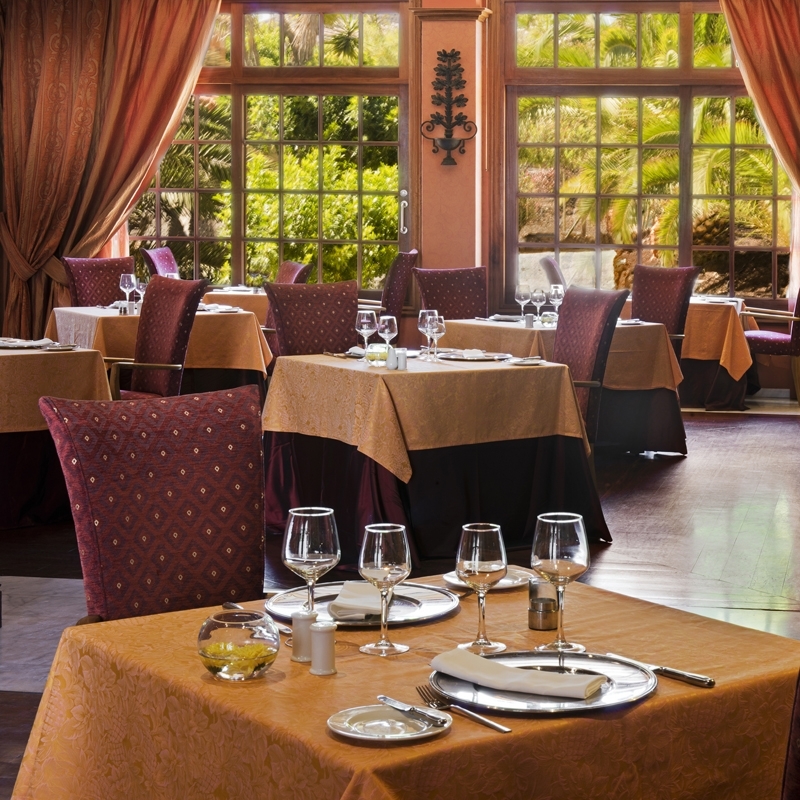 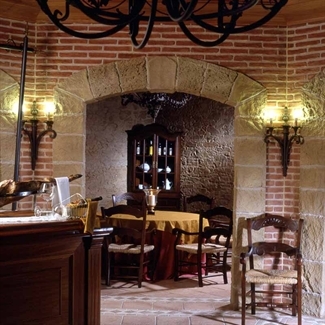 This is one of the best on the island serving traditional and international dishes along with some very fine wines from the extensive wine cellar. 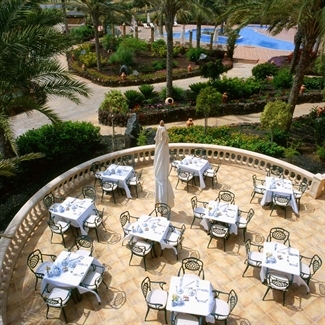 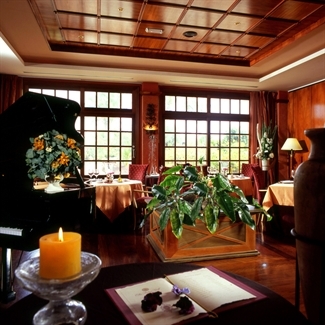 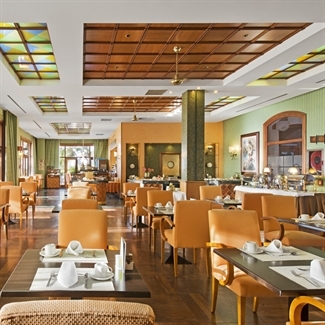 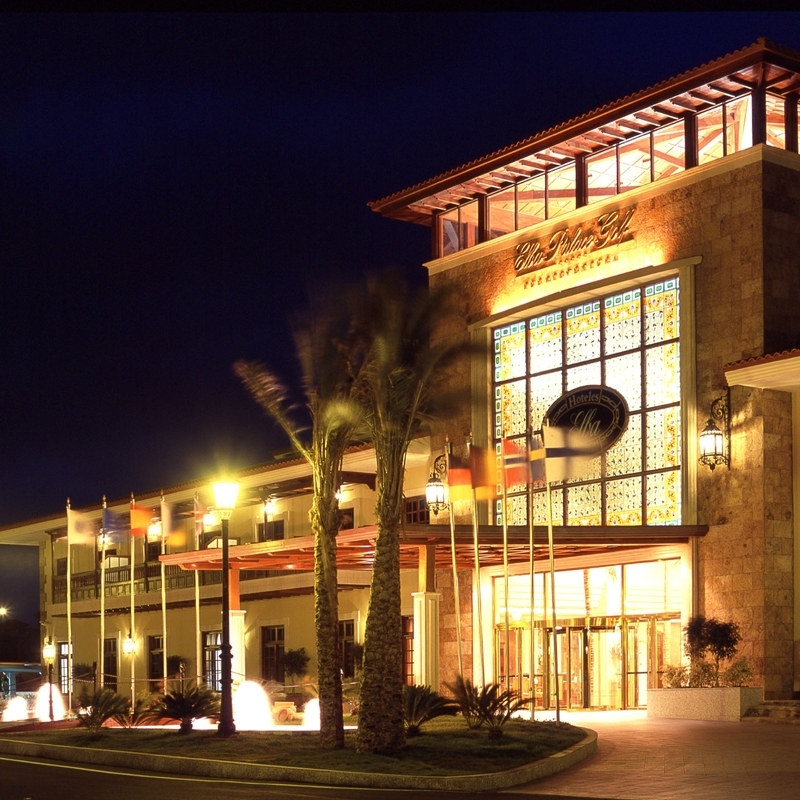 Alternatively, you will find a good variety of bars and restaurants just a short drive from the hotel. 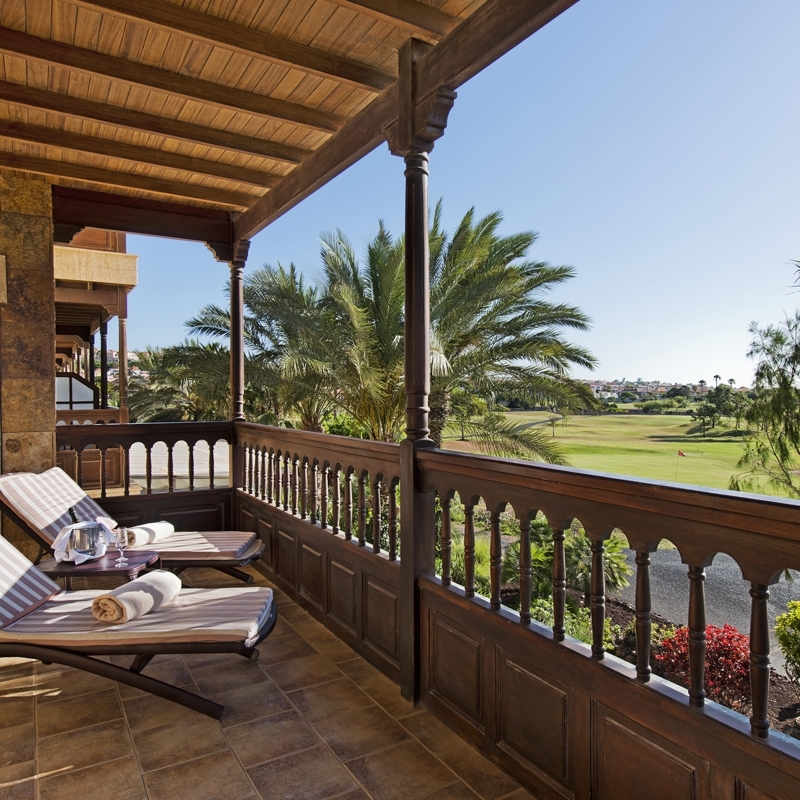 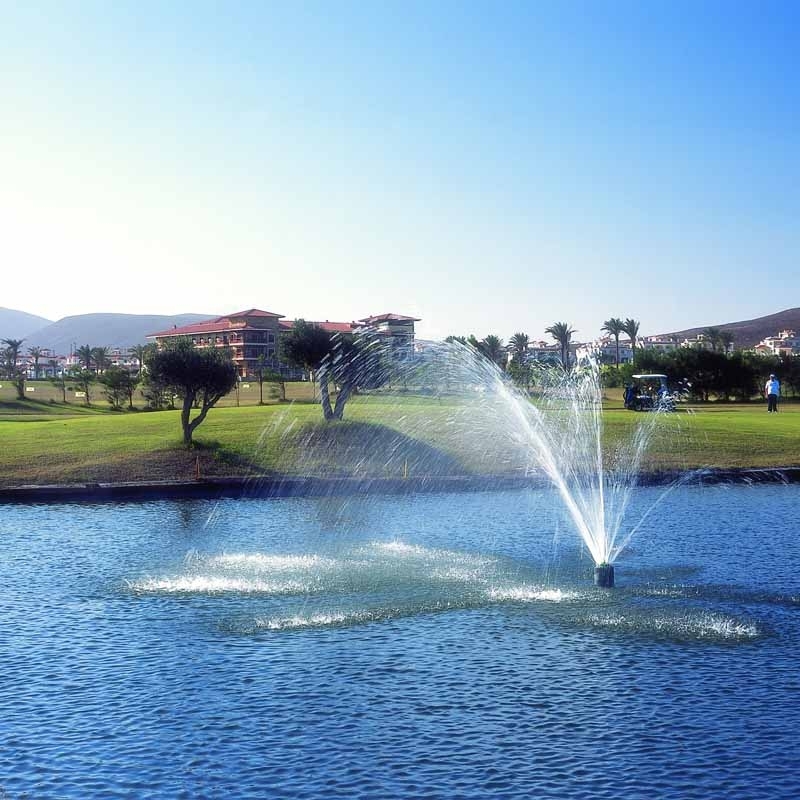 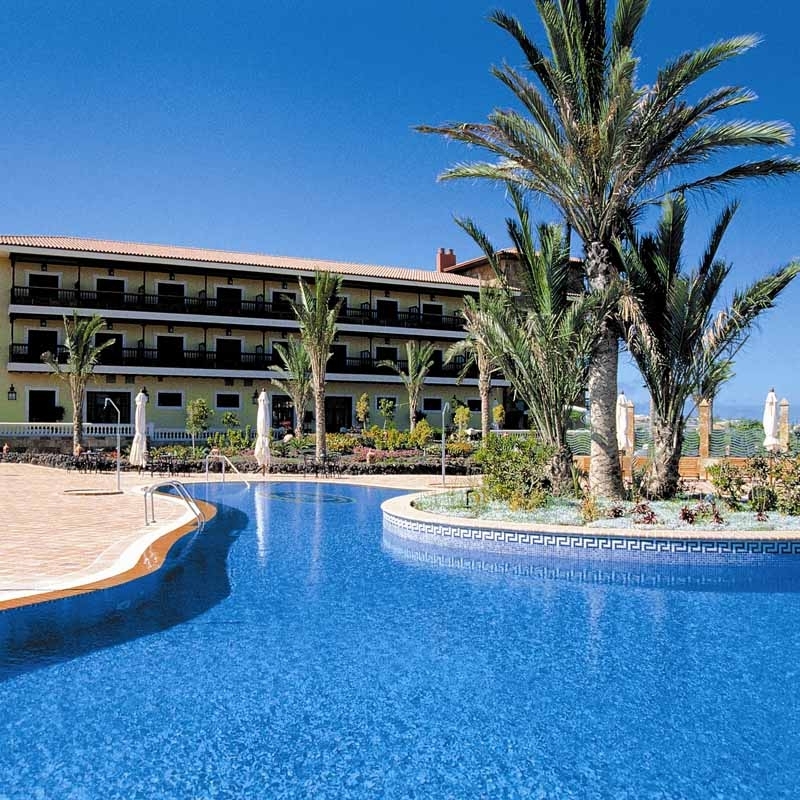 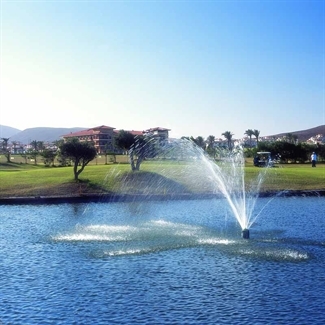 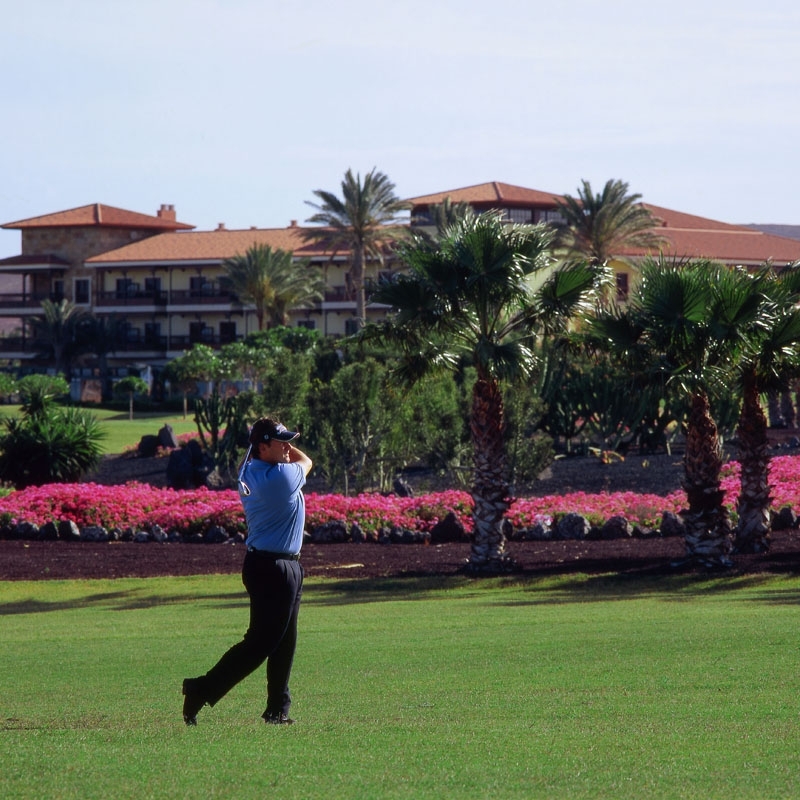 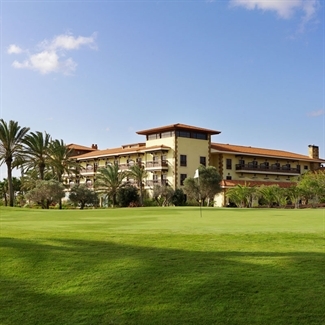 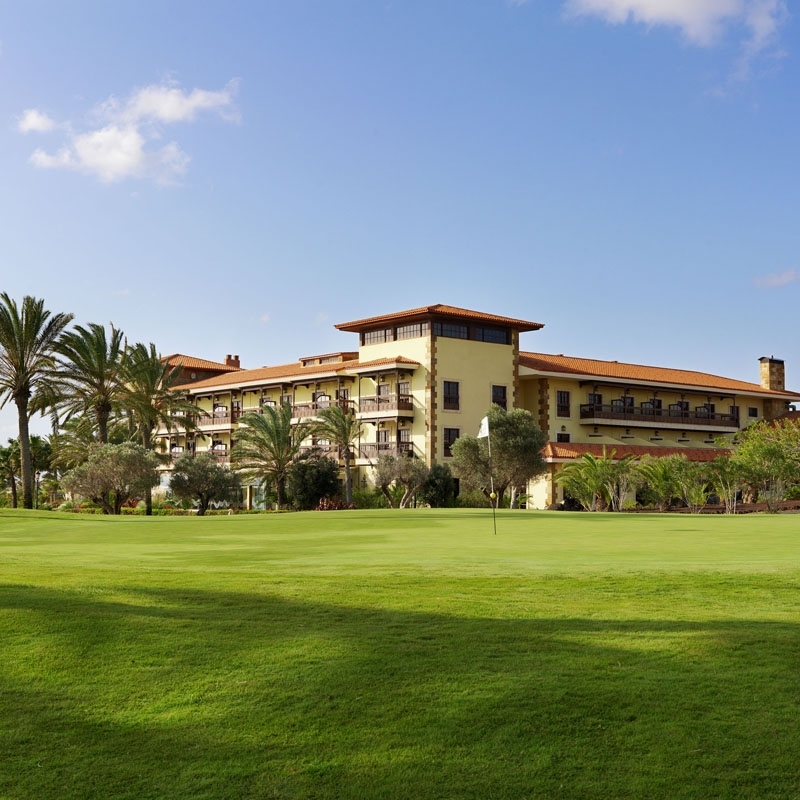 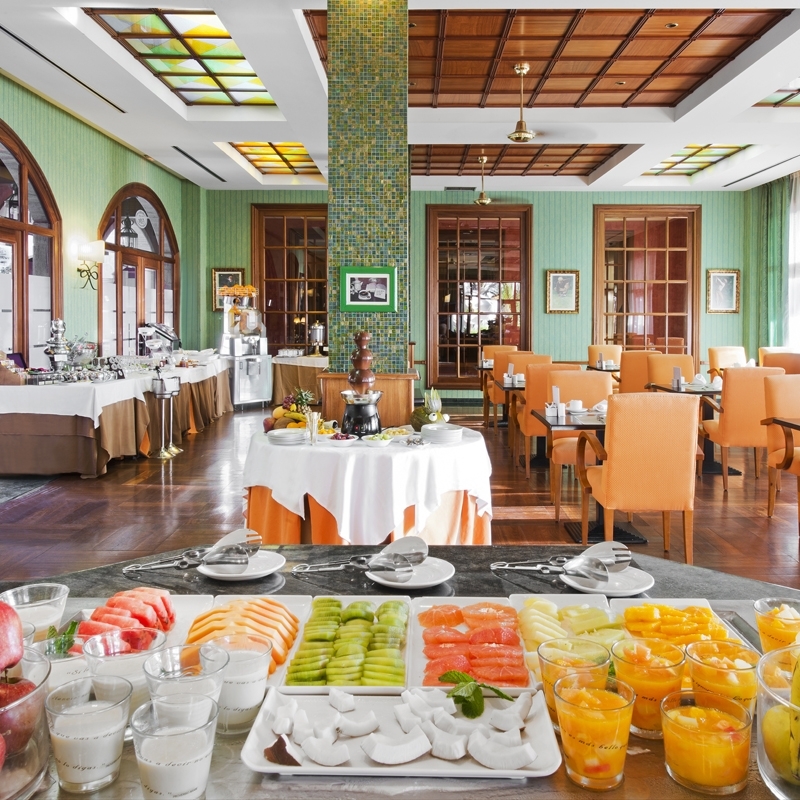 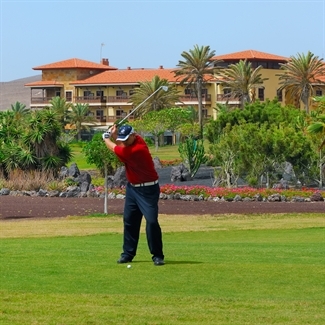 A luxurious hotel for the golfer who enjoys fine living! 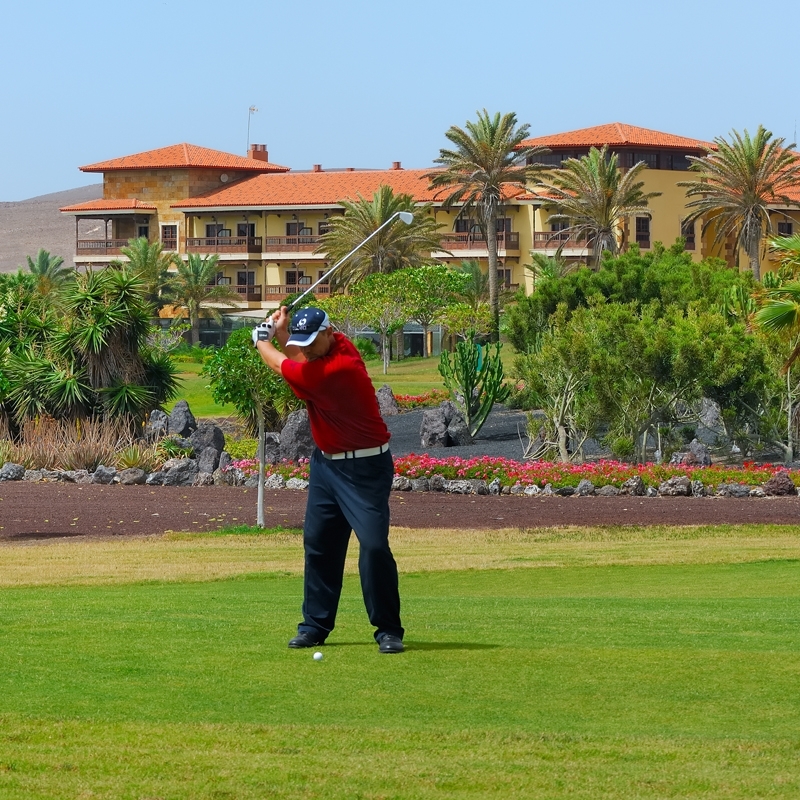 This golf course is located at the foot of an old volcano, and has got stunning views of the Atlantic Ocean.